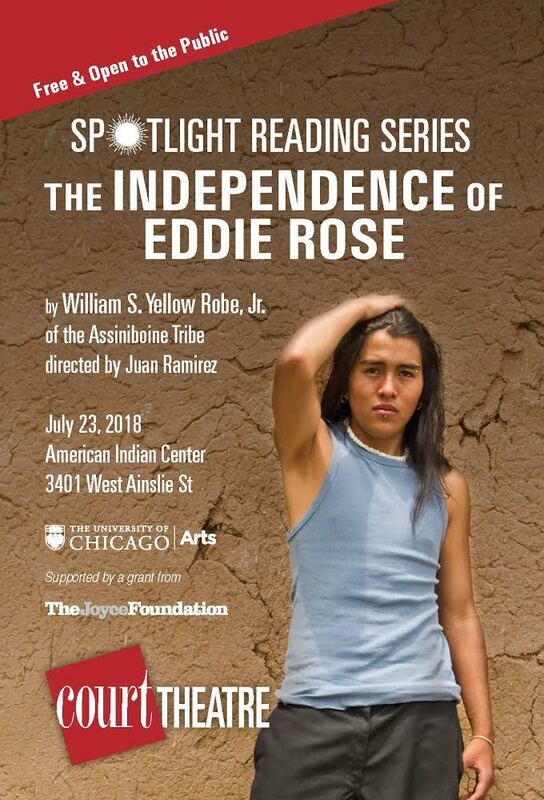 The Story: This Native American drama tells the story of a teenage boy confronted with the challenges of family alcoholism and domestic violence. Eddie is forced to choose between the learned way of a broken society and traditional values of the Red Road. While pursuing self-discovery, he saves his younger sister and, with the help of his aunt’s wisdom, works to save his family. This play contains strong language, culturally sensitive issues, and details about sexual assault. By car: If you are driving, free parking is available at Albany Bank (3400 W. Lawrence Ave.), which is a few blocks away from the venue. The spots marked RESERVED are not available for use. Please note that the Albany Bank & Trust Company, NA is not responsible for physical damages to any individuals, vehicles and or property within the vehicles. By Uber or Lyft: Since street parking is very difficult, using a ride-share service may be convenient. The address to the American Indian Center is below. By public transportation: The closest train stop is the Kimball stop on the Brown Line.